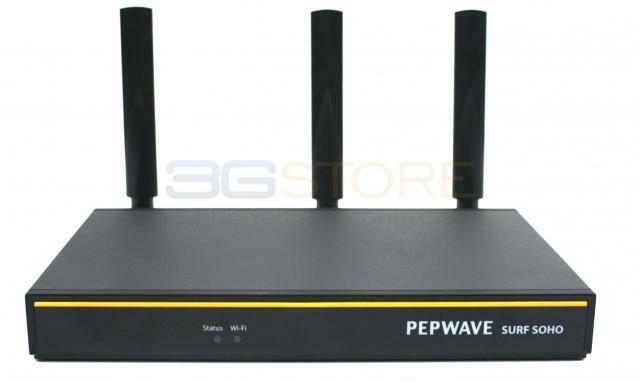 Routers like the Pepwave Surf SOHO and Balance One support various forms of internet connectivity. The SOHO has a wired WAN port (cable modem, satellite, point to point ISP), WiFi as WAN (using an existing wireless network as an internet connection for the router), as well as a USB port for cellular modems. The Balance One supports two wired WAN connections and a USB port. All of these options could be primary internet connections or backup connections. Routers like the SOHO and Balance One give the power home user or small business a simple and cost effective way to stay connected in the event of an internet outage. Did you know... the USB ports on Peplink and Pepwave routers aren't just for USB data cards? You can USB tether many mobile hotspots and most Android phones as a primary or backup internet connection! With a cell phone in every pocket in the home or office, and the recent availability of unlimited and lower cost data plans, it is the perfect time to use that data for more than just Facebook and Words with Friends. By connecting a mobile hotspot or Android phone to the USB ports on Peplink and Pepwave routers, it takes just seconds to get a backup connection in place. The advantage to using a router like the SOHO that can handle multiple connections is that in the event of a backup the network doesn’t change. Phones, printers, network storage, are all still accessible just like normal. The other advantage of USB tethering is many providers do NOT count this against your mobile hotspot allowance. Sprint for example offers unlimited data plans, but limits mobile hotspot usage to 10GB without paying a hefty per GB overage fee. 10GB isn’t a lot in a home or office when a wired connection goes offline. USB tethering though doesn’t count towards that 10GB, and is still unlimited! Check with your provider and plan for more details as not all options are created equally. There is a downside to USB tethering, and that is you need to have a phone plugged in at all times for the quickest failover, otherwise you have to plug a phone in as needed. If you aren’t on site and the internet fails, you’ll still be offline. USB tethering isnt perfect either. At the end of the day consumer hotspots and phones are exactly that, consumer devices. They may overheat, disconnect, or require hands on in order to keep working. For a business that requires an always on, 100% reliable primary or backup cellular connection, embedded routers are the best option. The new Pepwave MAX BR1 Mini has a built in cellular modem. Simply insert an active SIM card into the router and you’ll have a cellular connection designed to run 24/7. This is also a ruggedized device for use in M2M environments like ATM machines, POS terminals, and digital signage, where a tethered phone is simply not an option. EVDO News, Tips, Products, Reviews, Verizon and Sprint Experts. Welcome to the #1 source for EVDO Information. Search our EVDO forums, read our EVDO Blogs, check EVDO coverage and when ready, buy your EVDO products from us, your EVDO Experts. Call us @ 1-866-3GSTORE.